Salem's Lot doesn't have breathtaking cinematography, or an awe-inspiring score. There are lots of quirks in the performances. It doesn't have huge special effects. It isn't fast-paced. In fact, it moves pretty slowly most of the time. Yet I would rate it a 9 out of 10, because what Salem's Lot does have, and this is fairly unusual in a film, is a deeply engrossing story that unfolds exactly as if you were reading a book instead, and by the time the horrific material arises, Salem's Lot doesn't need to do anything too spectacular to create atmosphere and scares. Of course, the film's source material is a Stephen King book, and Salem's Lot was shot as a mini-series (it is just over three hours long), so that it plays like novel isn't that surprising. The miniseries is a great medium, and a great argument, for longer, more novel-like films, and King's works have tended to work incredibly well in that form. I'm also a big fan of It, The Stand, and others (as well as many of the Dean Koontz mini-series), and although Stanley Kubrick's version of The Shining is one of my favorites of all time, I also loved the 1997 mini-series version. 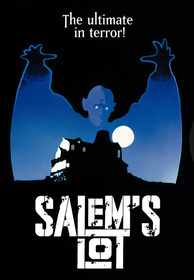 In a sentence, Salem's Lot is about why and how Ben Mears (David Soul) became a vampire hunter. Mears is a writer (not unusual for a protagonist in a Stephen King story, I know, but he's just following that old dictum of "write what you know") who is returning home to Salem's Lot, Maine (ditto) because he wants to set his second novel (it was King's sophomore novel, as well, released in 1975) in an infamous home, the Marsten house, that all the kids, at least, always claimed was haunted. Oddly, although the house has sat vacant for 25 years, just before Mears returned, the house was bought by an unusual older man, Richard T. Straker, who claimed to be purchasing it for his boss, Mr. Kurt Barlow. Shortly after an otherworldly crate is delivered to the Marsten house, kids start disappearing and bodies begin turning up--suffering from unusual cases of "anemia." The town becomes suspicious of the new residents, who are strangers to them -- including Mears -- as small towns will do, and they just know that Mears, Straker and Barlow have something to do with the tragedies. But it may have as much to do with the Marsten house as any other factor. That's a fairly stripped-down synopsis. There are many other threads and subplots that run throughout Salem's Lot. But the plot never seems overly complicated -- director Tobe Hooper (Texas Chain Saw Massacre, Poltergeist, The Mangler) takes plenty of time to develop all the threads to guard against that. This is a cavalcade of characters that we care about, and all the threads are interesting. Many of them, such as the subplot concerning Crockett, "Boom Boom" Bonnie and her husband Cully could have easily carried a film on its own, as could the relationship between Mears and Susan Norton (Bonnie Bedelia, who was also in the King film, Needful Things). The character of Mark Petrie (Lance Kerwin) would have also been an interesting basis for a film, even if Hooper leaves him a bit underexplored. 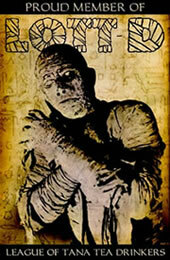 Adding to Salem's Lot's charm, in my opinion, are the quirky performances, especially Soul's. His Ben Mears is bizarre -- he always seems to have some deeply disturbing thoughts going on just beneath the surface, and he frequently responds to questions in a way not unlike the more recent fictional serial killer Vann Siegert from the film The Minus Man. Hooper's Salem's Lot is populated with all sorts of odd, complex personalities, from a dense (not necessarily slow) cemetery caretaker to James Mason's fine performance as Straker, which has at least a tinge of Vincent Price in it. The similarity to older horror flicks is no accident. At its best, Salem's Lot is a classic, gothic, moody and understated horror film. The tension, atmosphere and scares (and there are some -- I watched this flick, as I do almost all of them, with my wife, and she became more frightened by this film than any other I can remember) build slowly. The effect of antagonists floating in the window might seem silly when viewed out of context, and sure, if you really look, you can see wires at least once or twice, but in context, it works beautifully. It's not what you expect, but it's perfectly creepy. And the last sequence -- inside the Marsten house -- is undoubtedly classic, gothic horror, not that far removed from the beginning of the 1931 Dracula, which is fitting, as Salem's Lot both advances vampire lore and lovingly acknowledges its predecessors. While the made-for-television aspect didn't allow for Salem's Lot to contain any gore to speak of, it doesn't need it. Any fans of pre-70s horror films should find much to love here, and Salem's Lot remains a fine example of how to best turn a novel into a film. Submitted by Just Some Dude (not verified) on Sat, 2013-09-07 16:59. Submitted by Annoyed (not verified) on Tue, 2013-11-26 08:04.
Who cares about wires if the chacaters are not even right . Did the director even read the book before casting the actors ? Ben Mears had jet black hair and was slender almost to the point of scary and Matt Burke ( not Jason) is an older teacher in his mid 60's . Why not stick some what to what the author has written Stephan King is beyond words awesome at writing horror, the movies made based on his books are insulting .